Phil founded the club and published the newsletter. He introduced carpooling, and designating a different member of the group as the leader and organizer of each hike. The membership ranged up to 80 hikers. Cheryl Mathieu is the club coordinator and newsletter publisher. 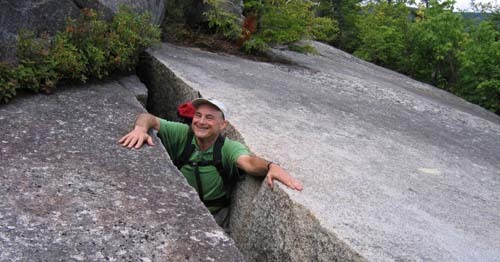 Phil described that in 1996 Cheryl was one of the hikers that pushed the club towards the more difficult hikes in the White Mountains. The membership ranged from 43 to 80 hikers. Sharon Sierra is the club coordinator and publisher of the newsletter. Sharon introduced the club's first website and began emailing the newsletter (while still offering snail mail). 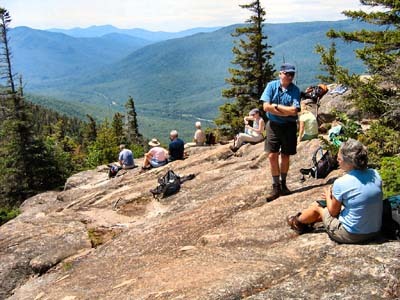 The membership ranged from 54 to 87 hikers. In March 2001, by informal vote, it was decided to schedule activities year 'round. Dennis Marchand is the publisher and club coordinator. Recognizing the nutritional need to replace calories after a hike, Dennis started the tradition of stopping for ice cream after the hikes. The membership ranged from 54 to 87 hikers. Mark Malnati is the publisher and club coordinator. 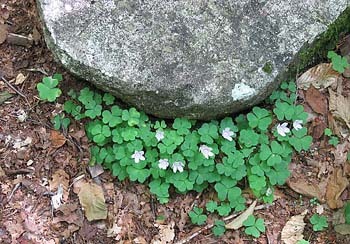 In 2006 we had 82 hikers and an ambitious 25 hikes on schedule for the season. Mark attends almost all the events no matter the difficulty level or the weather. Mark researched and organized the history of the club, thus preserving it for posterity before memories grew too hazy. He is also our unofficial, official club photographer, chronicling our activities with his brilliant photography. Diane King is the publisher and club coordinator. Diane is an avid hiker and has participated in most of the club's hikes. She started her first year as coordinator with a record 33 scheduled hikes, plus one camping weekend, and of course the traditional potluck/planning event. She kept us on our toes with a full calendar and also sent out reminders a day or two before each event along with weather updates and trail conditions. All the extra and timely information was a good motivator for getting more folks out on the trails. She also set us up on Yahoo groups to facilate easy cross-member communication. The club leadership is now a joint endeavor, with Deb Hann and Faye Doria taking over the coordination roles. Faye and Deb have both been extremely active with the club for years in leading various hikes and other trips on a regular basis. Deb introduced the annual winter-overnight in an AMC hut, and Faye is always searching out new locations off the beaten path for us to explore. Faye is our orienteering expert so we always feel confident when in her capable hands.